This piece is a twenty-drawer unit measuring 45 1/2" wide x 41 3/4" tall x 12" deep. The top is 14" deep. Casework is solid red oak with a light natural finish. 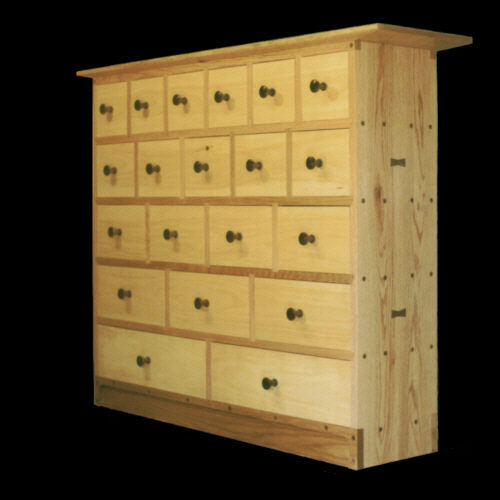 Drawers are solid #1 clear Eastern pine. Drawer pulls, pegs and butterfly joinery are American black walnut. The drawers are designed to accommodate art supplies and various paper. Copyright ©2001 - 2012 Stan Pike Designs.